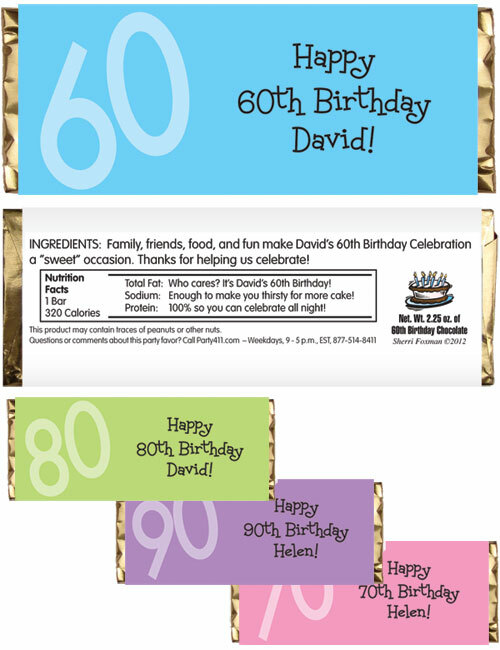 Custom Milestone Birthday Candy Bar Wrappers. 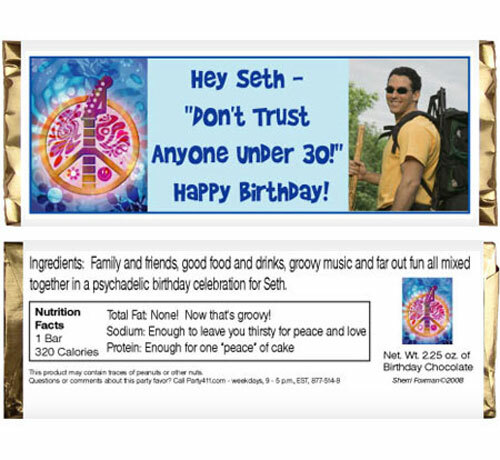 Celebrating a 21st, 30th, 40th, 50th, 60th birthday milestone? 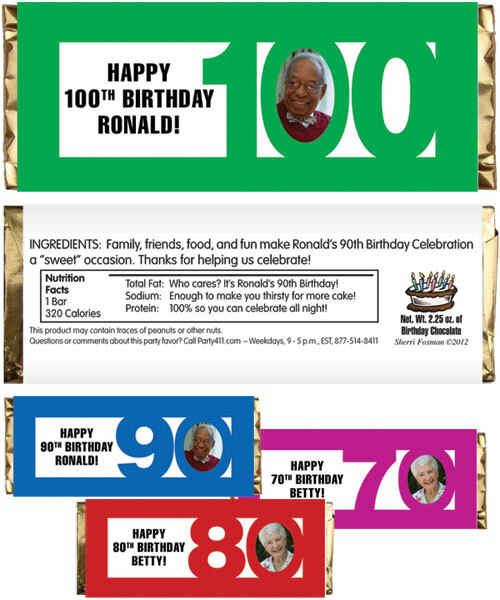 Don't forget Party411.com fun selection of milestone candy bars and wrappers. 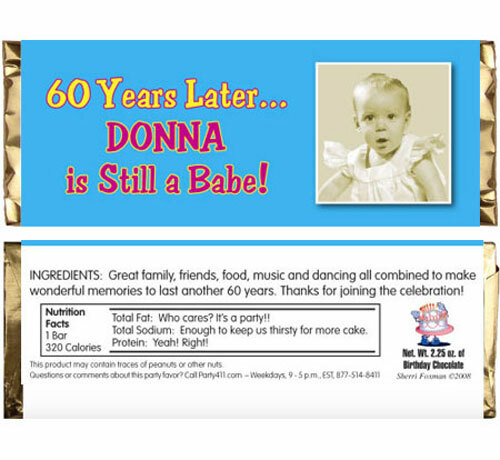 Great 50s Theme party favor! A year older but still a babe! 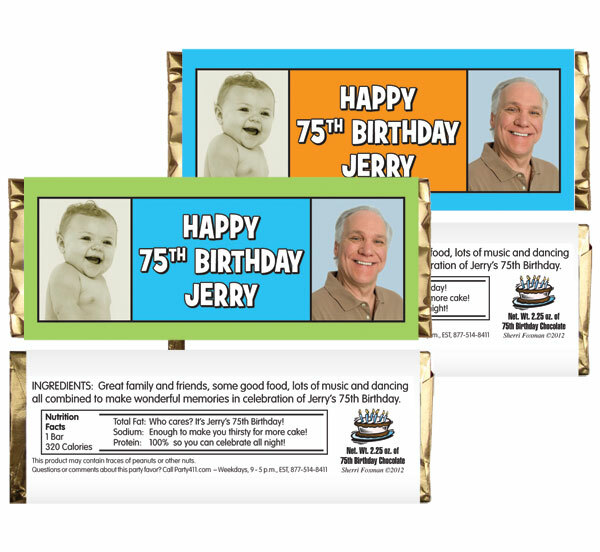 It would be highly illogical to ignore this sweet! 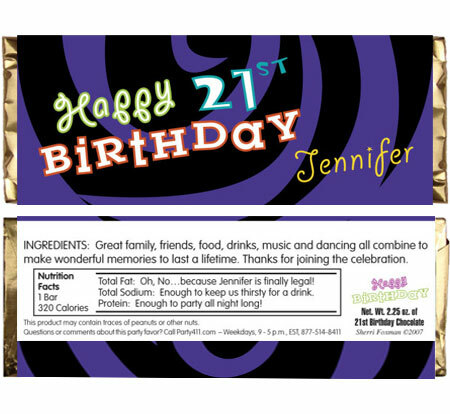 A simple wish and 2 great pictures on this wrapper. 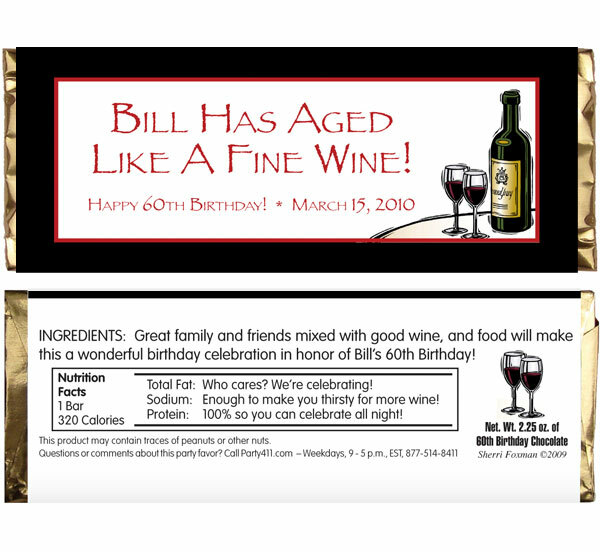 A favor for one of our most popular party themes. When you made party not war. They'll remember they made party not war. 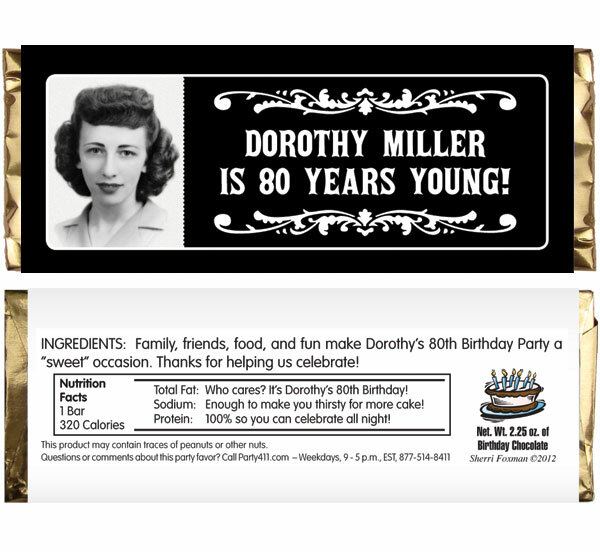 A personalized license plate wrapper for your milestone celebration! 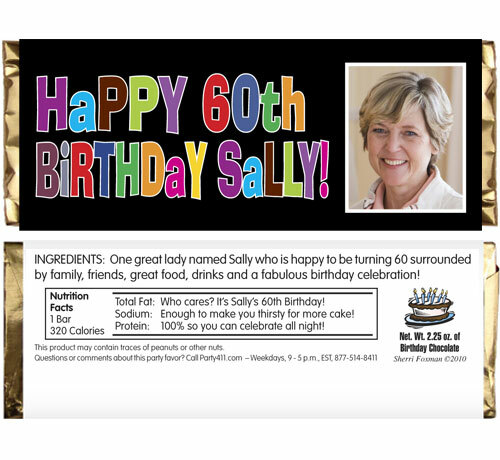 A great over the hill party favor featuring 2 photos! 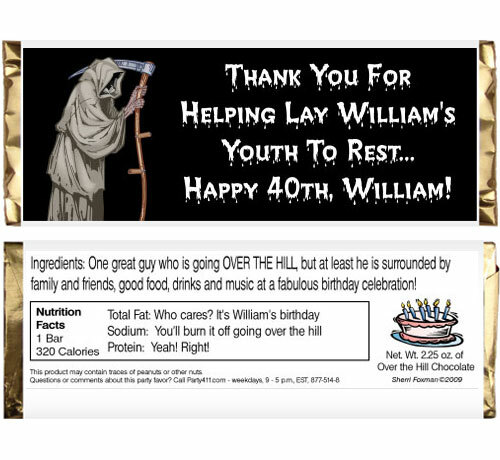 Perfect for a 40th birthday!